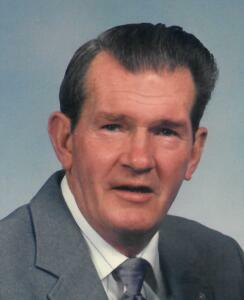 Ronald Chester Korner, “Chet”, 84, of Willington, loving husband of the late Barbara (Eldredge) Korner, entered into eternal rest on November 28, 2018. Chet was born December 9, 1933 in Coventry CT, son of the late Frederick and Florence (Brown) Korner. He worked and retired after forty one years of service from the University of Connecticut in the Horticulture Department. Chet is survived by his sisters Priscilla (Pat) Korner of East Hartford, Janet and her husband Raymond of West Hartford, Shirley and her husband Thomas of Merrow; brother Sidney Korner of East Hartford, as well as several nieces and nephews; step-son Steven Eldredge, his wife Jean and their son Thomas of Farmington NH, a step-granddaughter Ashley, her husband Adam and their son Killian Wayne Kimball of Hanscom AFB in MA. He was predeceased by his brothers Walter, Russell, Calvin, and Raymond, as well as a dear niece Kimberly Boudreau and a step-son James Eldredge. Chet’s family will receive relatives and friends on Tuesday December 4, 2018 from 9:00am to 10:00am at Potter Funeral Home, 456 Jackson St. Willimantic. His funeral service will begin at 10:00am at the funeral home. Burial will follow at the Willington Hill Cemetery.